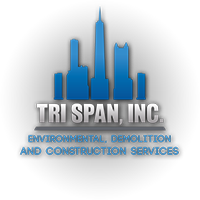 Tri Span, Inc. has conducted multiple asbestos and lead paint abatement projects throughout the Veterans Administration facilities. Our work was contracted by the following entities: Veterans Administration, Clark Construction and Thomas Land Clearing. The projects were high profile and extremely sensitive: The Veterans patient’s needs were first and foremost. The abatement of asbestos and lead materials was conducted during off hours and weekends. All work was completed to accommodate client’s needs and schedules.